Mumbai-based Trilegal co-founder Karan Singh will relocate to Bangalore within the next four months. HSA Advocates has expanded further in Bangalore by absorbing local firm Atman Law Partners, adding four new lawyers including partner Chinmay Mirji. Law firm P&A Law Offices has hired SREI Infrastructure Finance senior vice president Ketan Mukhija as corporate partner in Delhi. Bangalore-based disputes and conflict avoidance boutique G-Droit Advocates, founded by NLU Jodhpur alumnus Gautamaditya, has added former partner of Lawcept Partners, Aravind Mokkapati, as its first non-founder equity partner to expand the firm’s practice into corporate. Shardul Amarchand Mangaldas (SAM) Bangalore founding partner Karthik Mahalingam is to leave the firm on 30 April. LexOrbis added intellectual property (IP) strategist CR Jacob in Bangalore, along with Jacob’s team of 4 patent attorneys at his IP advisory firm IP Astra. Khaitan & Co’s Bangalore office has hired Nalina Mayegowda as a disputes partner from local Bangalore-headquartered Poovayya & Co, where she was also a partner. Luthra & Luthra has moved its Bangalore office from the Ulsoor Road area to the third floor of Onyx Center on Museum Road, reported Bar & Bench, with space for 40 lawyers. Siddharth Raja, who was a co-founder of Narasappa, Doraswamy & Raja that later became Samvad Partners, will join Argus Partners in Bangalore as a senior partner and national executive director, with a remit to also oversee the firm’s Chennai practice. Dua Associates has reabsorbed its former fee earner R Ganesh, in its Chennai office as partner in the firm, after Dua’s Chennai partner Aarthi Narayanan left to join Shardul Amarchand Mangaldas. 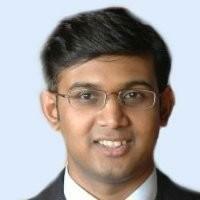 Argus Partners has hired R Vedasagar as a partner in Bangalore, focusing on banking and finance from 1 October. Shardul Amarchand Mangaldas has started a Bangalore office with ex-Omidyar Network India general counsel (GC) Karthik Krishnan Mahalingam as office head and national venture capital practice head. Hammurabi and Solomon has absorbed Bangalore lawyer Bharath Babu’s firm Seagull Law in Bangalore to expand its South India operations, with Babu joining the firm as a partner. Four Bangalore-based associates from Dua Associates and K Law have started up the law firm Spectrum Legal in Bangalore. Intellectual property (IP) firm LexOrbis, which set up a Bangalore office in April, has merged with local IP boutique Inolyst, which was set up by Dilip Kumar. Senior associates Nanditha Gopal and Percis Anklesaria will be promoted to partner. Alpha Partners, the corporate and intellectual property boutique started up in 2012 by former SRGR Law Offices lawyer Akshat Pande with Videocon group in-houser Ankit Prakash, opened its second national office and its first outside the Delhi area, in Bangalore. The mediators between brothers Cyril and Shardul Shroff of Amarchand Mangaldas gave the green light for both to begin setting up new offices.